California Law Update: Battery Backups Required | Barton Overhead Door, Inc. The California legislature passed SB 969 with overwhelming support from both sides. Starting July 1, 2019, all garage door openers sold and installed in the state of California must have a battery backup. This law was signed into effect on September 21, 2018. This law is a response to several deaths during the major wildfire season of 2017. At least 5 people died because they could not get there garage doors open during the power outage. This led to their cars being stuck in the garage with no other way to evacuate. These people, mostly older, were either unable to open their door manually or did not know how to disconnect the opener. The scope of this law is very defined. Every garage door opener sold after July 1, 2019, must include a battery backup. Every door replaced after that date must be hooked up to a battery backup capable opener. The law is very clear, and has penalties of up to $1,000 per violation. Several problems come up when implementing this law. The current solutions for battery backups tend to need replaced at least every 2-3 years, sometimes even earlier. Every reputable garage door company will face challenging situations when telling a customer that their functioning opener must be replaced when replacing the garage door. Consumers will still need to be knowledgeable about their garage door system, as the battery backups can still fail if not maintained. As a plus to the bill, the newer garage door openers installed will overall be a lot quieter. Battery backup openers must have a DC motor, which generally operate smoother and quieter. We recommend installing a battery backup capable opener now on new door installations. This could save buying a new opener down the road if the garage door needs replaced for any reason. 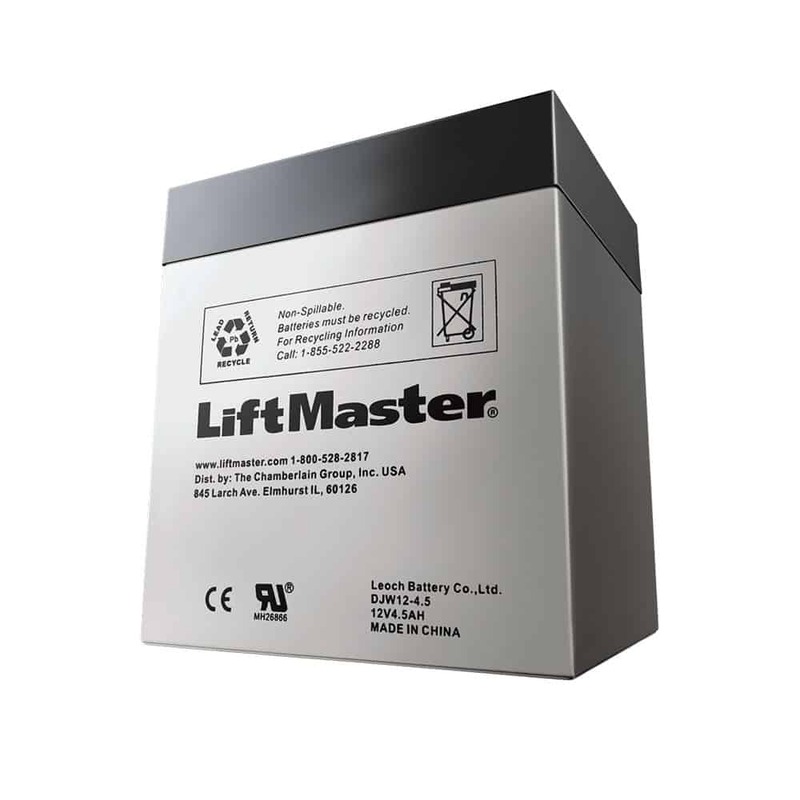 Current openers we sell that are battery backup capable include the Liftmaster WLED, Liftmaster 8550W, and the Liftmaster 8500W. We don’t recommend a new garage door opener just for the sake of a battery backup unless you are unable to lift your door in a power outage. Often, a good service will make the garage door much easier to lift. SECTION 1. Section 19891 of the Health and Safety Code is amended to read:19891. SEC. 2. Section 19892 is added to the Health and Safety Code, to read:19892. The full text of the law copied from CA Legislative website.